Numerous scriptures tell of the important role restored and converted Israel is to play in the future of God’s plan. They are to be a "dew" among the nations (Mic. 5:7); the site of deliverance (Joel 2:32); "a blessing in the midst of the land" (Isa. 19:24); and a "praise among all people of the earth" (Zeph. 3:20). Nor are the scriptures silent as to how this role of being a blessing to others will be accomplished. Israel has returned to her ancient land. Yet it is obvious that many who have returned have come back in unbelief. These have returned either in unbelief or under the banner of nationalism to rebuild an ancient nation. The scriptures anticipated just such circumstances. Prophecies speak of the need to first "purge" out the rebels (Ezek. 20:38). These are described as those "that rejoice in thy pride" (Zeph. 3:11). This purging is to be complete when Israel endures one final conflict as described in Ezekiel 38 and 39. When the battle goes against them and all seems hopeless, the Lord assures them that he will fight for them "as when he fought in the day of battle" (Zech. 14:3). It is not until then that God’s regathered people of old will fully recognize their God. 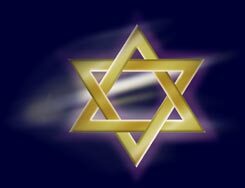 "So the house of Israel shall know that I am the LORD their God from that day and forward" (Ezek. 39:22). Ezekiel states that that news of this same miraculous deliverance will spread to all nations: "And I will set my glory among the heathen, and all the heathen shall see my judgment that I have executed, and my hand that I have laid upon them" (Ezek. 39:21). Naming some of the same nations as appear in the battle of Ezekiel 38 and 39, the prophet Isaiah states that he would "send those that escape of them unto the nations, to Tarshish, Pul, and Lud, that draw the bow, to Tubal, and Javan, to the isles afar off, that have not heard my fame, neither have seen my glory; and they shall declare my glory among the Gentiles" (Isa. 66:19). The prominence this victory will bring to the nation of Israel will soon be noticed by other peoples. We read in Isaiah 2:2, 3: "And it shall come to pass in the last days, that the mountain of the LORD’s house shall be established in the top of the mountains, and shall be exalted above the hills; and all nations shall flow unto it. And many people shall go and say, Come ye, and let us go up to the mountain of the LORD, to the house of the God of Jacob; and he will teach us of his ways, and we will walk in his paths: for out of Zion shall go forth the law, and the word of the LORD from Jerusalem." Other scriptures imply that it will be both "a carrot and a stick" approach that God will use to convince the nations that his blessings are to come through Israel. Describing the aftermath of this final battle of Israel with the nations arrayed against her, Zechariah adds these words: "And it shall come to pass, that every one that is left of all the nations which came against Jerusalem shall even go up from year to year to worship the King, the LORD of hosts, and to keep the feast of tabernacles. And it shall be, that whoso will not come up of all the families of the earth unto Jerusalem to worship the King, the LORD of hosts, even upon them shall be no rain" (14:16, 17). The spreading of the news of the establishment of a kingdom of righteousness will not be left alone to the escapees of the final battle. Such texts as Micah 5:5 and Isaiah 1:26 imply that the ancient prophets of Israel will be resurrected before the climactic victory. These "fathers" of Israel shall be delegated as official ambassadors of the new kingdom. Writing of them in poetic fashion, the psalmist says, "Instead of thy fathers shall be thy children, whom thou mayest make princes in all the earth" (Psa. 45:16). Under the same figure of "princes" we see them in the final vision of Ezekiel as communicating with the Lord at the gates of the temple (Ezek. 44:3). While their exact functions are not given in the scriptures, we may assume that they will provide governmental assistance to all nations of the earth. Although this class of worthy ancients may be quite numerous, the scope of the work to be accomplished implies that many faithful Israelites will work side by side with them to communicate and adjudicate the laws of the new kingdom. The Bible indicates that not only will Israel send the ambassadors of the kingdom throughout the world, but that their counsel will be sought after. In Isaiah 62:12 we read that they shall be "Sought out, a city that is not forsaken." A similar testimony is found in Isaiah 2:3, "And many people shall go and say, Come ye, and let us go up to the mountain of the LORD, to the house of the God of Jacob; and he will teach us of his ways, and we will walk in his paths: for out of Zion shall go forth the law, and the word of the LORD from Jerusalem." Few texts are more explicit on this subject than our theme text in Zechariah 8:23, "Thus saith the LORD of hosts; In those days it shall come to pass, that ten men shall take hold out of all languages of the nations, even shall take hold of the skirt of him that is a Jew, saying, We will go with you: for we have heard that God is with you." In this passage it is the marked prosperity of the restored nation which is the magnet that attracts the Gentiles. In addition, the scriptures indicate that just prior to this time Israel will have endured an armed conflict in which they will appear to have lost the battle before there is miraculous heavenly intervention snatching victory from the very jaws of defeat. (See Zechariah 14 and Ezekiel 38 and 39). This obvious divine intervention will be noted by the nations of the world and be a part of the drawing power to bring the people to Israel for counsel and direction. It is worthy of note that in our text, it is the "skirt" of the Jew which is grasped. This is not a coincidental idiom but one that is full of meaning, We meet up with it twice in the life of Jesus. In Matthew 9:20 we read of the woman who was healed from an issue of blood by following Jesus in a thronging crowd and touching the hem of his garment. Again, in Matthew 14:35, 36 we read of his visit to the area of Gennesaret, "And when the men of that place had knowledge of him, they sent out into all that country round about, and brought unto him all that were diseased; And besought him that they might only touch the hem of his garment: and as many as touched were made perfectly whole." In both of the above cases the text emphasizes the desire to touch "the hem of his garment." In order to grasp the full significance of this symbol, we need to refer to the Old Testament. There we read in Numbers 15:38, 39, "Speak unto the children of Israel, and bid them that they make them fringes in the borders of their garments throughout their generations, and that they put upon the fringe of the borders a ribband of blue: And it shall be unto you for a fringe, that ye may look upon it, and remember all the commandments of the LORD, and do them; and that ye seek not after your own heart and your own eyes, after which ye use to go a whoring." These blue fringes in the hem of the garment were to be a constant reminder to the Jewish people of their responsibilities to God's law and, by extension, showed their sincerity in trying to keep the Lord's commandments. In fact, it was the recognition of Jesus' keeping of the law that the faith of those healed was placed. This was virtiually tantamount to accepting him as the promised Messiah. With this background, then, we see the deeper significance to our text in Zechariah 8:23. It will be the faithful of Israel who will survive the final battle describted in Ezekiel 38 and Zechariah 14. These will be the ones who are seeking to keep God's laws. It will be this observation, illusstrated by taking hold of the skirts of their garments, that will be the magnet drawing all mankind to Israel and to her God and his laws. It is of this faithful remnant of Israel that we read in Zeohaniah 3:11, 12, "In that day shalt thou not be ashamed for all thy doings, wherein thou hast transgressed against me: for then I will take away out of the midst of thee them that rejoice in thy pride, and thou shalt no more be haughty because of my holy mountain. I will also leave in the midst of thee an afflicted and poor people, and they shall trust in the name of the LORD." Their influence among the other nations is well depicted by the prophet Micah (5:7) in these words, "And the remnant of Jacob shall be in the midst of many people as a dew from the LORD, as the showers upon the grass, that tarrieth not for man, nor waiteth for the sons of men." What a blessing awaits mankind as they recognize the God of Abraham, Isaac, and Jacob and come to accept of his ways, reaping the benefits of a perfect life in a perfect environment that will law forever.